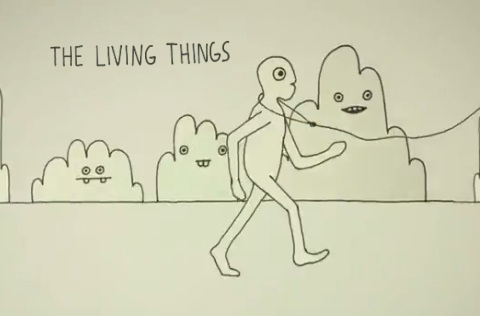 This catchy tune is performed by The Spinto Band and the journey of “The Living Things” is friskily animated by Phil Davis. These lovely creatures are changing form, mood, it is fun and a little weird. Phil is an animator and filmmaker. He has a BFA in Film Art from Syracuse University and an MFA in Imaging and Digital Arts from the University of Maryland. Currently he is a professor in the Electronic Media and Film department of Towson University.